This probably isn’t the discrete Intel GPU news you were hoping for, but the company’s new Gen11 integrated graphics are impressive nonetheless. Intel unveiled its new Gen11 integrated graphics at its Architecture Day event, and it has finally broken the 1 teraflops barrier – all thanks to its 64 enhanced execution units (EU). If you weren’t keeping count, Intel's previous Gen9 graphics only featured 24 EUs, so this is a more than double increase. Intel says users can expect double the computing performance-per-clock compared to Intel Gen9 graphics. To that end, gaming on just integrated graphics should appear more realistic, especially when Gen11 will also introduce Intel Adaptive Sync technology to smooth frame rates for gaming – following in the footsteps of AMD FreeSync and Nvidia G-Sync. Intel also plans to roll out advanced media encoders and decoders with Gen11 graphics to support 4K video streams and 8K content creation. We won’t have to wait long for Gen11 integrated graphics to come out, as Intel plans to first introduce them in 10nm-based processors beginning in 2019. 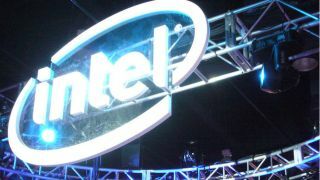 At Architecture Day, Intel also reaffirmed its plans to introduce a discrete graphics processor by 2020.